What makes your Salon a step above the rest? By providing your clients with a mobile app you are not only going to show that you are ready for what’s next, but you will also give them exactly what they need – a technology that will make their lives easier. With a mobile app dedicated to your businesses you will unlock the power of customer retention and repeat business. 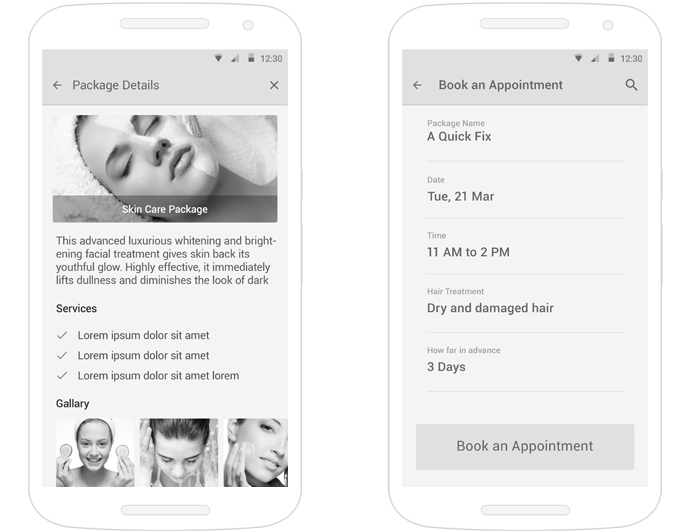 Appointment Scheduling: Mobile apps provide simple, clean and powerful calendar features that can help you to handle all your salon client’s bookings. 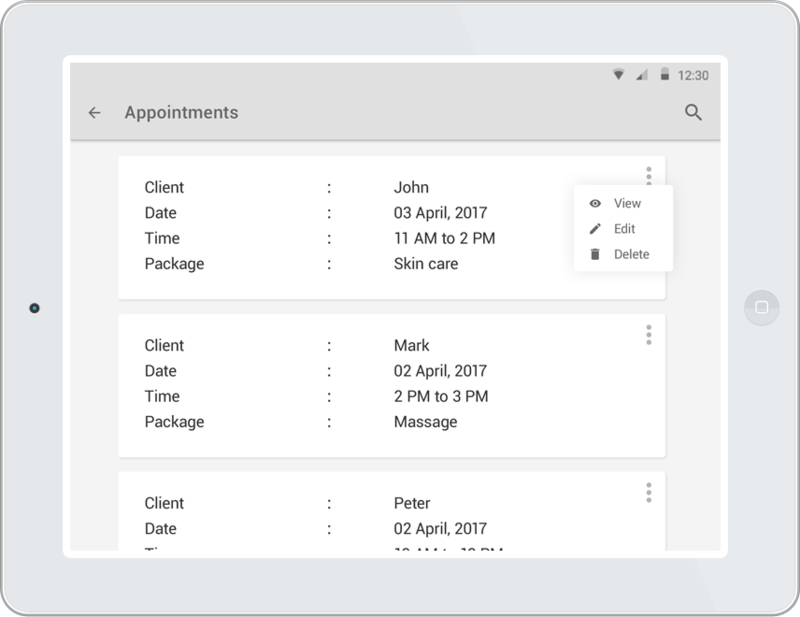 Clients Management: you can record and manage client’s data with detailed appointment history. Manage their contact details, future booking and feedback about your services. Bookings Management: Mobile app helps your potential customer to book an appointment online through your app and web. It will supercharge your booking system. 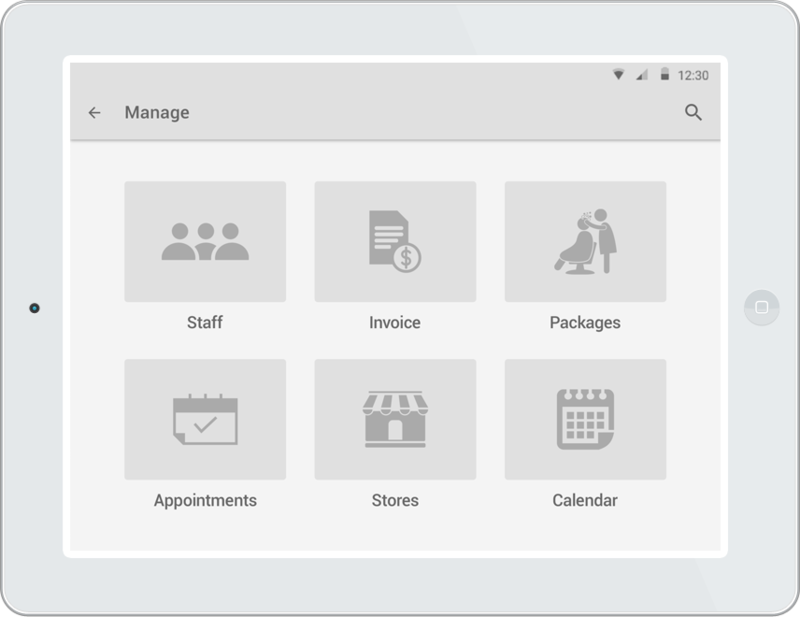 Showcase Services and Products: Mobile apps can help you to take care of your sales transactions, and manage invoicing, receipts, taxes and product management. Activity Dashboard: with mobile app, you can track your and employee daily activities and never miss a beat. 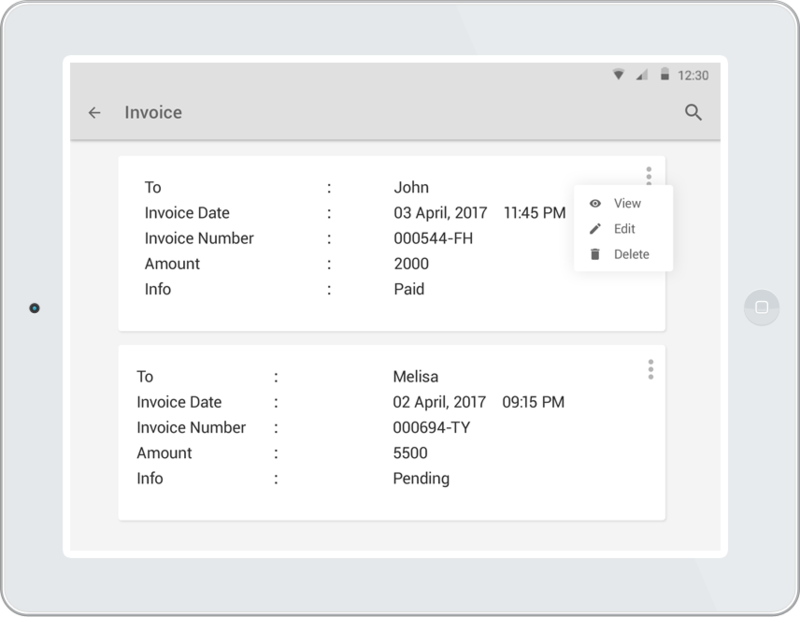 Invoice Management: No more headache of maintain hard copy of invoices. Staff Management: Keep yourself updated with your staff activities. You can display your beauty product and services with rich content, images and videos with latest hairstyle and trends in beauty and massages. Mobile apps help your customers to find out your shop via geolocation GPS indications features so no one will get lost to reach at your salon. Geolocate your salon, with GPS indications. No one will get lost to reach your salon. 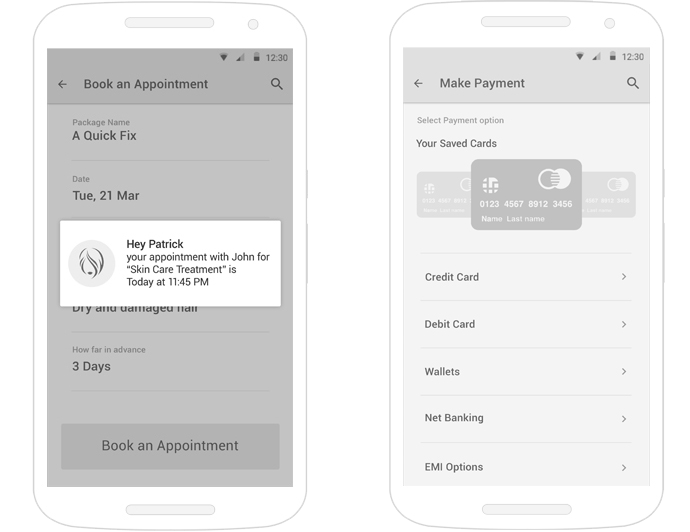 Manage booking effectively: An App provide a mobile based solution of booking so you can easily manage salon booking from anywhere, any time of the day or night. Easily send SMS and Email Booking reminders via your app. Stop losing money from no-shows: You and your clients can save money by using automated SMS and email reminders feature of app. This automated reminder will reduce your no—shows. Clients can reply to confirm their appointments booking. Smartly Maintain client communications: Mobile apps can help you to maintain regular client communication. You can send SMS and Email to your targeted audience that drive more business to your salon. You can also send greeting of birthday and mirage anniversary, welcome message, survey message to your clients mobile. Know your customer better over the priod of time: Apps help in real time reporting of your businesses. There are few type of report that you can generate. Clients, staff, bookings and stock. Store important client information: Apps are very best tools for storing and handling client information regarding their skin, hair, body, birthday, last service time and date and their favorite coffee. Streamline transactions: It helps in streamline transaction of your business process including service charges, gift, refunds, sales of product, purchase orders, appointment cancel with a system that takes care of the hard work for you. 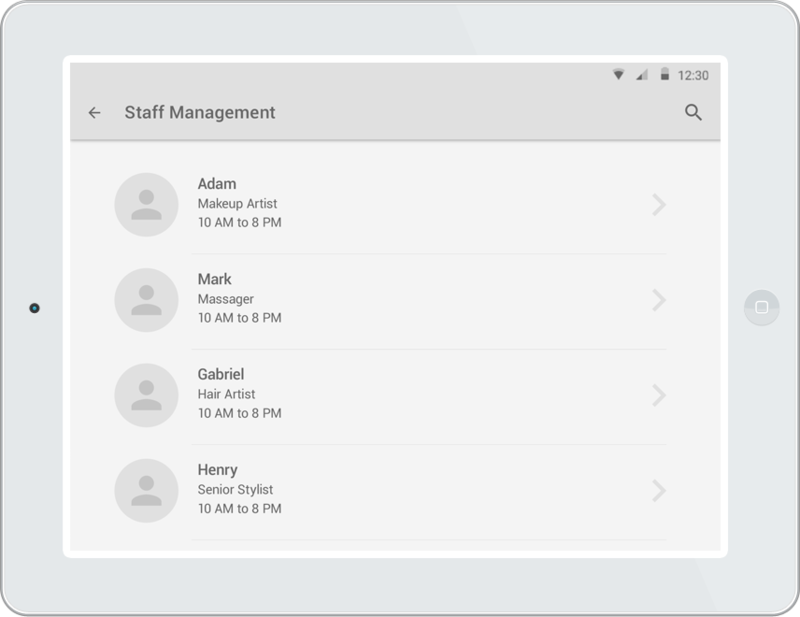 Manage staff and review performances effectively: Employee management become more ease with mobile app. you can get the better timesheets and bounces and generate reports of employee performance and productivity. You can manage your staff sales and easily calculate their commission on the basis of productivity. When you develop your salon app your potential customers will get benefits from your app. Result, your business will increase! About the Store: Your clients easily get about your store information and can know about the history of your business. Your opening and closing time, charges of your services & products and your store address. View the list of Services: User can check the list of services that available based on cities. You can add it from back end and it will show the name and service image to users. 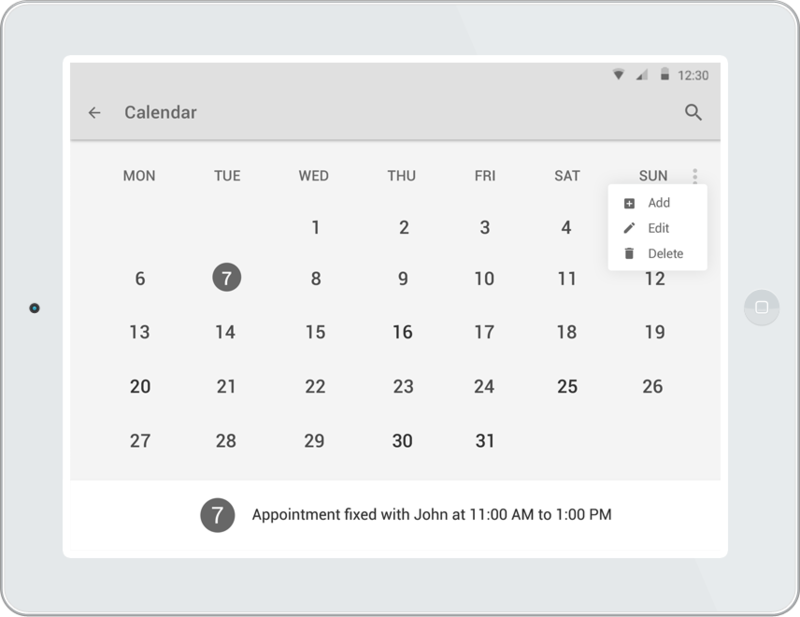 Schedule an appointment: Users can easily book an appointment by selecting the date and time from app calendar. Choose the beautician: Users can select the beautician from the list of available beauticians in the city store of your salon and spa with their rating and reviews. They can select them based on their need. Online payment: Economy becoming cash less day by day and your users can complete the appointment by online payment with debit and credit card. Redeem the promo code: You can offer new deals and promo code and discount directly on your app wall so your potential customer can receive the promo code discount and redeem it while booking. Review and Rate: User can check review and rating before selecting the beautician profile. And also, can give review and rating about your store and employee services and work. Ok, now how can I get such an app and for how much? 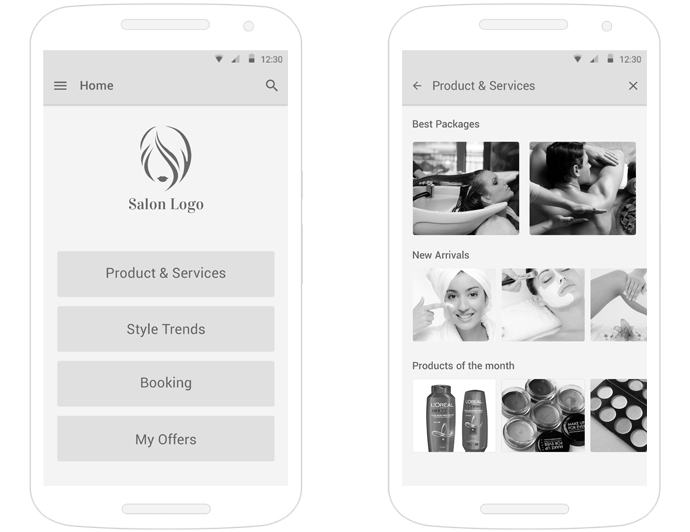 If you want to develop an app for your salon and spa and looking for an app development partner and know about the cost to develop a successful app choose WeDigTech as your mobile app development company in India. 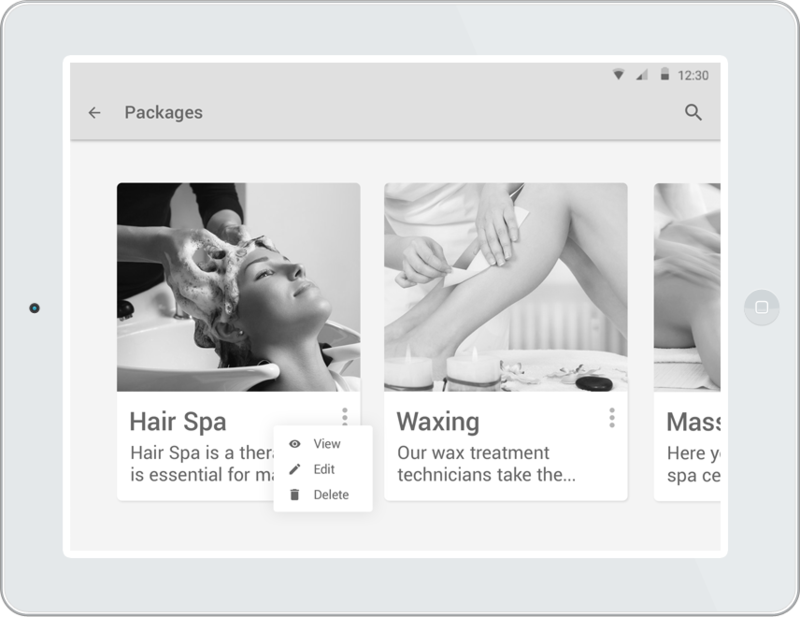 So, keeping everything in mind WeDigTech makes the best beauty salon and spa and wellness customer engagement app which will definitely get download by users and take your App to another level. Your own beauty salon app can cost you between $2000 to $18,000. Contact us for better app consultation and get your free quote now. No Coding Knowledge Required: We are the hub of skilled app developers that do this task in a better way so you do not need to know about coding. Multiplatform: We build apps for all mobile app platforms iPhone, Android and Window. Your app will be published on the App store and on Play Store. Profitable: We have app marketing team that know how to increase revenue and earn money by adding google Ads or monetizing in your app. Be on Time: We always deliver apps on time. And continually evolving in apps to adds new features and fix bugs so your app become more efficient for its users. We build customize App: We develop customize app according to your requirement and build customize module for future upgradation. Instant updates: If you want to add more feature after publishing your app on play store you can contact us we will change your app whenever you want. Fast and Easy: We build lightweight and ease to use app design with user friendly interface. Regular Update: We involve our client in each phase of development so they can see how the app is process and look in smartphone. I hope you enjoy the post. Please write to us if you are looking for a mobile app development partner. We build beautiful app and care about the look and feel of app so user love it and download.